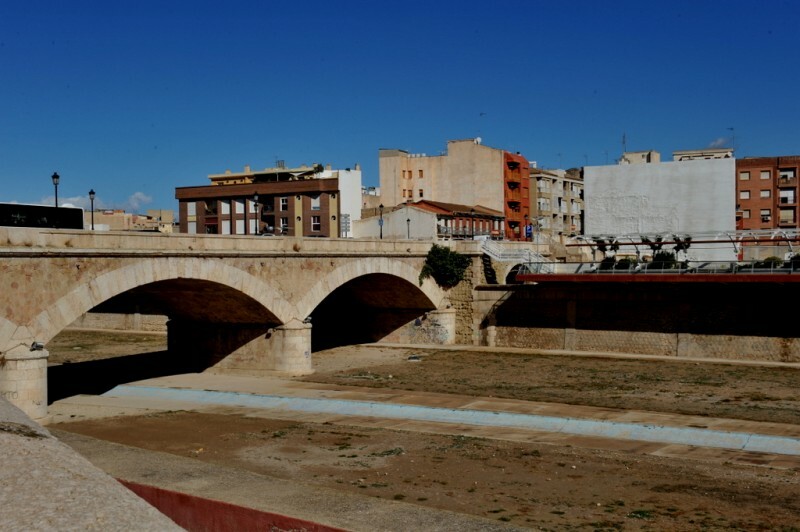 Also known as the Puente del Barrio, because it connects the city centre of Lorca with the Barrio (or district) of San Cristóbal, the Puente de la Alberca was built by engineer Juan Moreno Rocafull and was officially opened in 1879. Its solid but elegant design, with three wide arches, owes much to the nature of the River Guadalentín, which the bridge spans. For years at a time the river bed can remain dry, and is laid out as a public park, but on occasion the storm clouds gather inland and the river becomes a violent torrent. The construction of the bridge was a long and drawn-out process, and it was 14 years after the project was approved in 1865 that it was finally completed. Of course there had been earlier bridges across the Guadalentín in Lorca, and there is documentary evidence of a wooden structure in the 16th century, but they had invariably ended up being washed away by floodwater. In 1802, for example, when the dam at Puentes broke, the water swept the bridge away, and another disappeared in similar fashion in 1838 during the “Riada de San Francisco”. 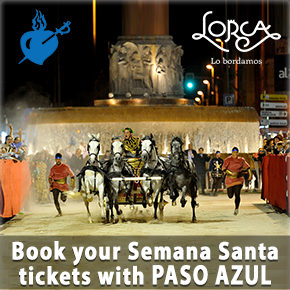 It was not until the flash flood of 1860 that plans were drawn up for a structure which could withstand the extreme forces of nature, and almost as soon as it was completed the Puente de la Alberca was required to show its strength as the near-legendary flood of Santa Teresa on 15th October 1879 threatened its survival. It is estimated from eye-witness reports that the rainfall at the source of the Guadalentín must have been in the region of 600 millimetres in an hour, and the resulting flash flooding downstream left 13 dead in Lorca and around 1,000 in the Region of Murcia and the Vega Baja area of Alicante. However, the new bridge withstood the battering, as it did again in September 1891 during the episode known as the flood of San Jacinto. 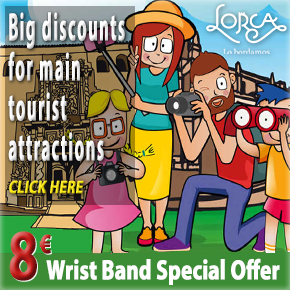 Thankfully, the new dam and reservoir of Puentes helped save Lorca and the surrounding area from catastrophe, as it is thought that the rainfall was even heavier than twelve years previously. June 1900 saw more severe flooding (the floods of San Aniceto left the Barrio de San Cristóbal under water), and another episode occurred in September 1948. Perhaps the worst flood in Lorca since the Puente de la Alberca was built, though, occurred on 19th October 1973, following over 300 millimetres of rain in the north of the province of Almería. The death toll was heavy as both the Guadalentín and the Nogalte (the rambla which runs through the centre of Puerto Lumbreras) broke their banks, and a similar event occurred on 26th September 2012, although with a far lower death toll. 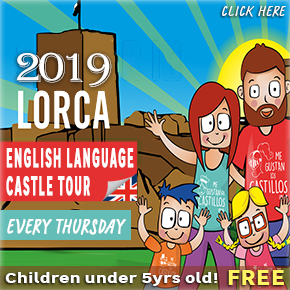 As well as providing a flood-resistant link between the two halves of Lorca on either side of the Guadalentín, the bridge also provides visitors with a fine vantage point over much of the city of Lorca, with the castle standing behind and above the historic centre on the western bank. 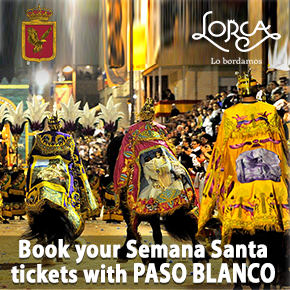 There is convenient parking alongside the bridge by the Convento de la Merced.